When we adopted our daughter from China, I worried about how she would get along with our two boys. Looking back, I didn't have to worry. Jade, the beautiful girl we flew to China to adopt, was 16 months old and was starting to walk. The boys fought to hold her and to play with her during our time in the hotel and our many trips to government offices. The flight back– more than 17 hours with three children under five– was an adventure that I don’t recommend to anyone, but we eventually landed at Newark airport; Jade became an American citizen when the wheels touched down. The two blond boys and their dark-haired sister became an everyday sight in our hometown over the next nine years. Jade followed her brothers everywhere. She even began rooting for the New York Mets with as much vigor as they did. She was always eager to play Wiffle ball with them and swung her bat as if she were aiming for the Shea Stadium (now Citi Field) fences. 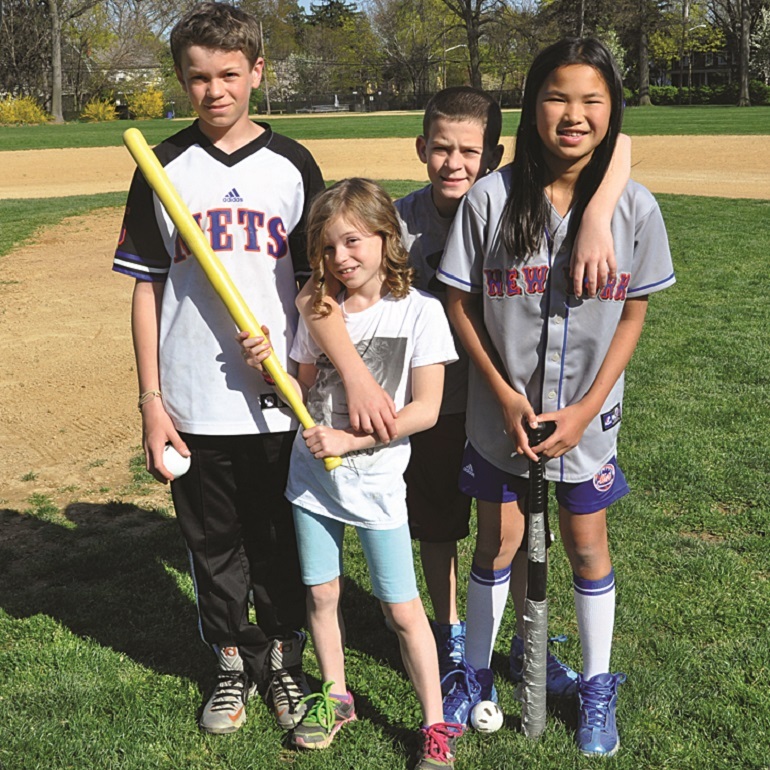 When the boys started to play Little League, Jade insisted on playing baseball, not softball, just like her brothers. From time to time, she would surprise the crowd with a big hit. Every Sunday, Dakota would get together with other fifth- and sixth-graders to play a pick-up game of baseball. Though Cole was a year younger, he often went with his older brother. Jade was only in second grade, but she always asked if she could go, too. Although she was tall for her age, I didn’t want her to get hurt playing fast-pitch baseball, so I always said no. One Sunday, I relented and let Jade go with her adoptive siblings. As I walked my kids to the field, I noticed how much she looked up to them. She had on the same boys’ baseball pants and a Mets hat and carried her Rawlings glove the way they carried theirs. When we got to the field, I told them I was heading back home and started to walk off, glancing over my shoulder to watch the game begin. That day, the dads supervising the game chose both Dakota and Cole to be captains. Dakota won the coin flip to have first pick. The players were lined up against the fence. Not only was Jade the only girl, but she was a head shorter than all the 10- and 11-year-old boys. I heard Dakota call out his first pick– and turned just in time to see Jade run to Dakota, give him a big hug, and stand proudly by his side. I had never seen her happier. I also noticed Cole looking upset. His disappointment showed in his face; there was no doubt he had wanted to choose her for his team. At that moment, I realized I didn’t have to worry about my boys, about what they are going to be like when they grow up. Character is about what you do when no one is looking. I was glad to have walked away slowly enough to have seen that borne out by my sons. I could have merely been her stepmother, but Taylor and ..